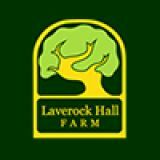 We’ve been asked on several occasions as to why we don’t have small caged bird food in our Laverock Hall range of bird foods, and we can happily say that as of today we do now. Chris has worked closely with a locally well-known bird breeder and they have come up with a range of three new caged bird foods. These are Mixed Canary Food, Mixed Budgie Seed and Mixed Finch Food. They are a great addition to our Laverock range of bird foods and hopefully they will be well received by the caged bird breeders and by people who keep birds as a hobby too. They contain a good variety of seeds to suit most caged birds and are of the highest quality, so you can be assured that your birds are getting the very best food. The new mixes are packed in 5kg bags and 15kg bags, so they should suit all needs and pockets. We are only stocking these in our shop now but hopefully they will soon be listed on our website and be available via our trade customers too. Better photos will follow too as my photography skills are rather limited. On another note it’s the Big Garden Birdwatch this weekend, lots of our customers are participating and hopefully I will get the time to find a comfy seat, make myself a coffee, get my paper, pen and bird book and enjoy a lovely hour watching the birdlife in our garden. All too often I only get a fleeting glimpse of the birds or when I fill the feeders so it’s a good excuse to relax, set aside an hour and enjoy watching the birdies, I’m sure we’ve all deserved it!